Need something a little more special? Book a VIP lane. Beautiful curtains make this your own private bowling suite. Great for parties, special events, and nights out with your friends, VIP bowling is a truly unique experience. Please note: VIP lanes are 21 years and older only after 8pm on Friday and Saturday nights. Guests under 18 years of age must be accompanied by an adult after 8:00pm on Friday and Saturday nights. Call 678-965-5707 to book by phone. See you soon! We’re told bowling for 30 minutes can burn over 100 calories, but that’s not why you’re here, is it? Bowling is fun. It gets you moving, laughing, and spending time with the people you care about. At Stars and Strikes, we happily host first dates, kids birthday parties, leagues for seniors, and everything in between. That’s because this classic American pastime will never go out of style. 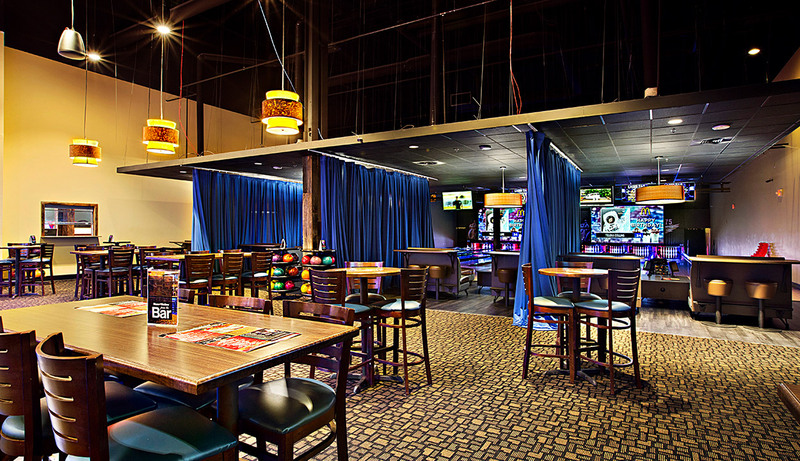 Enjoy friendly competition, an upscale atmosphere, and great food served right at your lane. We can’t wait to see you.